London: Chapman & Hall, 1928. Spine extremes of book have been professionally restored. Small four digit number to front free endpaper. The scarce first edition/first state (with the proper names on pp. 168-169) of the author's first book bound in the publisher's original black and red "swirled" boards, stamped in gold. With the five drawings by the author present. Housed in a custom-made matching clam-shell box. 288 pp. . First British Edition. Hard Cover. VG+/No Jacket. NY: Doubleday, 1966. Previous owner's neat small name to top corner of front free endpaper. Overall, a beautiful, tight, clean copy in bright dust jacket that still maintains the original price of $4.50. A stunning copy of the book that was the basis for the movie "A Christmas Story" that starred Darren McGavin and Peter Billingsley -- and had Jean Shepherd as the able narrator. 264 pp.. First Edition. Hard Cover. Near Fine/Fine. New York: W.W. Norton & Company, Inc., 2006. First U.S. edition; 335pp. 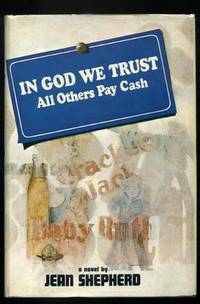 The first British edition was published back in the 1960's. . First U.S. Edition. Hard Cover. Fine/Fine. NY: Pantheon, 1994. A "tragic comedy" by the noted author of "Senor Vivo and the Coca Lord". Amazingly difficult to locate in collectible condition and with no remainder mark. Basis for the movie that starred Nicholas Cage as Captain Corelli. . First Edition. Hard Cover. Near Fine/Near Fine. NY: Viking, 1990. 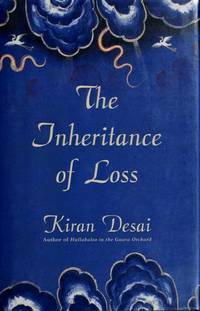 Overall, a tight, clean copy of the first U.S. edition of this book by the noted Indian author. His fourteenth "Malgudi" novel. 186 pp.. First American Edition. Hard Cover. Near Fine/Near Fine. New York: Viking, 1965. Previous owners name & date penned on ffep. ; 248pp. Overall, an unusually nice copy of the first U.S. edition of this early book of short stories by the Nobel Prize winning author. . First Edition. Hard Cover. Near Fine/Near Fine. New York: Atlantic Monthly Press, 2006. 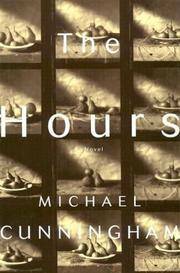 Tight, clean first edition of this book that went on to win both the Booker Prize and the National Book Critic's Award; 324pp.. First U.S. Edition. Hard Cover. Near Fine/Near Fine. London: Faber & Faber, Incorporated, 1998. This is the true first edition of the author's first book (who went on to win the Booker Prize for her second effort). A tight, clean copy of this, the book -- which was serialized in The New Yorker magazine. 209 pp.. First British Edition. Hard Cover. Near Fine/Near Fine. CHIC: Swallow, 1973. The dustwrapper shows a few minor spots on spine, but is otherwise beautiful. The first edition of this 316 pp. sampler of Nin's work. Great book. Edited by P.K. Jason with an intro. by Anna Balakian.. First American Edition. Hard Cover. Near Fine/Near Fine. NY: Farrar Straus Giroux, 1998. This is the Advance Reading Copy of this novel that went on to win both the Pulitzer Prize for Literature and the Pen/Faulkner Award. The author's fourth book. 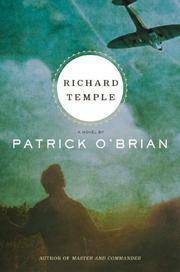 By the author of "A Home at the End of the World" and "Flesh and Blood".. Advance Reading Copy. Printed Wraps. Near Fine/No Jacket. Advance Reading Copy. NY: Pantheon, 1980. Bound in red paper wraps. This is the Advance Uncorrected Proof copy of this title with the original title "From the Lives of the Puppets" crossed out at every occurance in the book and substituted with the title above. With two glossy "stills" from the movie and a blurb sheet laid in. Quite uncommon.. Advance Uncorrected Proof. Soft Cover. Near Fine/No Jacket. NY: Random House, 1986. This is the first edition of the author's "novel in verse". Unusual that a major publisher would publish such a book today. 307 pp.. First Edition. Hard Cover. Near Fine/Near Fine. NY: Knopf, 1984. Bound in gray wraps that have four sets of staple holes on cover. This is where blurb sheets (enclosed) were stapled to front cover. This is the advance uncorrected proof of this book. Exceedingly scarce and collectable for the Cortazar collector.. Advance Uncorrected Proof. Soft Cover. VG+/No Jacket. NY: Knopf, 1998. Bound in light blue wraps. The advance uncorrected proof copy of this 310 pp. + appendix, plus indeces, etc. book of poetry by one of the better writers of the last 30 years. Uncommon.. Advance Uncorrected Proof. Soft Cover. Near Fine/No Jacket. Advance Uncorrected Proof. NY: Grove, 1986. Bound in Lime Green wraps. This is the advance uncorrected proof copy of this British writer's first book. Highly acclaimed.. Advance Uncorrected Proof. Soft Cover. Near Fine/No Jacket. PA: Farrar Straus Giroux, 1987. The first trade edition of this title, signed by Percy on a bookplate neatly affixed to the front free endpaper. Handsome copy!. Signed by Author. First Edition. Hard Cover. Near Fine/Near Fine. NY: Scribner, 1999. Bound in glossy wraps. Advance Reader's Copy of this recently released fictional chronicle of his last African safari.. Advance Reading Copy. Soft Cover. Fine/No Jacket. NC: Algonquin Books, 1987. Bound in cream-colored wraps. The Advance Uncorrected Proof copy of the first edition of the author's great first book. Gathered sheets with sewn signatures. Stiff wraps on front and rear panel, but not on spine. Pasted glossy label with publisher's information on front cover. A beautiful copy!. Advance Uncorrected Proof. Soft Cover. Fine/No Jacket. NC: Algonquin Books, 1991. The first edition of this, the author's third book. Beautiful, as new, condition.. First Edition. Hard Cover. Fine/Fine.